HLP Klearfold – The number one supplier for your clear plastic packaging. You can trust HLP Klearfold to supply you with the best clear plastic packaging there is to offer. The clear plastic packaging HLP Klearfold offer will help your products fly off the shelves. Read on to find out why HLP Klearfold should be your only packaging partner. The plastic packaging HLP Klearfold supply has excellent clarity. We can add an anti-scratch oil to your packaging to ensure that your plastic packaging is protected from everyday wear and tear in store. HLP Klearfold’s crash lock mechanism is the solution for a more stronger and quicker locking mechanism for your plastic packaging. Crash locks are the preferred choice when it comes to locking mechanisms, with this lock the boxes can be erected by both hand and machine applications. Crash locked cartons are quick and easy to set up by hand, which can significantly save you up to 30% of your labour costs. 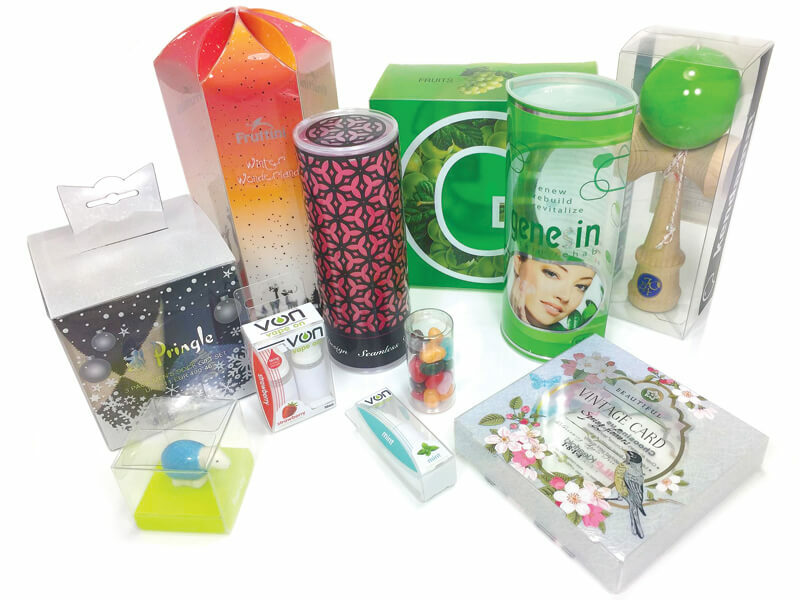 HLP Klearfold offers a wide range of graphical enhancements to give your clear plastic packaging that wow factor to help unlock your brands potential. Get in touch today to speak to one of our technical account managers. We are happy to answer any questions you may have.